The University of Vocational Technology - UVT is established by the parliamentary Act No. 31 of 2008, in 2009 and functions under the purview of the Ministry of Skills Development and Vocational Training. It is the leading government university providing technical and vocational education for all with aspirations to achieve professional excellence. The general objective of the University of Vocational Technology is to provide progressive upward movement to the students in the Technical Education and Vocational Training System, based on their aptitudes and abilities, to acquire University Education. To be the leading University providing technical and vocational education for all with aspirations to achieve professional excellence. To provide extension courses on continuous professional development. 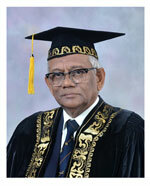 He was the first vice chancellor of Open University of Sri Lanka in 1983. He later served as Chairman, Tertiary and Vocational Education Commission (TVEC) in the Ministry of Youth Affairs and Skills Development of Sri Lanka. In 2011, he was named chancellor of the University of Vocational Technology. Prof. G.L.D. Wickramasinghe, Senior Lecturer in the of Textile and Clothing Technology, has been appointed as the Vice chancellor of University of Vocational Technology. Prof. Wickramasinghe graduated from the University of Moratuwa in 1993 with a B.Sc. Engineering First Class Honors Degree and obtained his PhD from The University of Manchester, UK in 2003. He earned the MBA from the Postgraduate Institute of Management, University of Sri Jayewardenepura in 2008. He is a Charted Engineer and a Member of the Institution of Engineers Sri Lanka. 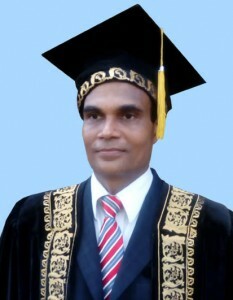 He served as the head of the Department of Textile and Clothing Technology from April 2009 to April 2012. He has experience in serving on boards of directors of public as well as private sector organizations. Faculty of Industrial & Vocational Technology to provide degree level courses of study for middle level technical personnel. The faculty offers undergraduate programmes in specialized areas of Civil Construction, Electrical and Electronics, Agriculture and Food and Manufacturing. The faculty makes arrangements to offer postgraduate diplomas and degrees in the near future. The currently offered undergraduate programmes are mainly related to Training Technology. 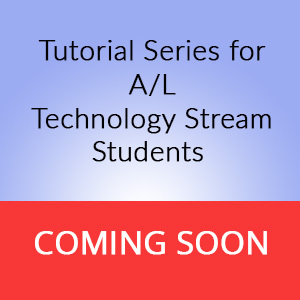 They include pedagogical training and technical training. Teaching staff in the TVET sector and in the industries is provided the opportunity of obtaining academic qualifications through the Programmes offered by the faculty of Training Technology. 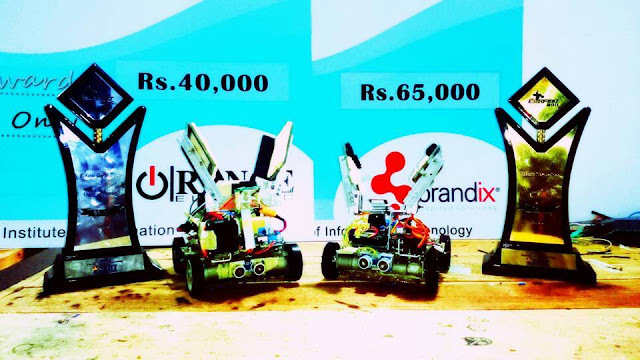 In addition the faculty offers degree programmes in Information and Communication Technology. This is good stuff.. Well Done ! Good to see your great effort and wishes to make dignity of UVT among public. That web site fulfill the standard criteria and creations are attractive.Thank you very much who had contributed to success this task.